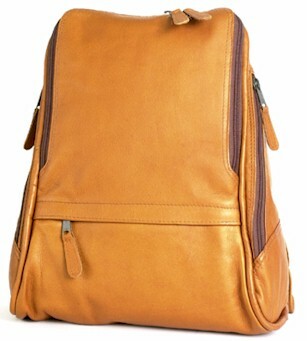 This backpack has five compartments and a top handle. The back of the bag has an 8" vertical zipper that opens to a compartment that is the size of the back surface of the bag. Large main interior compartment with a zippered pocket on the back wall. 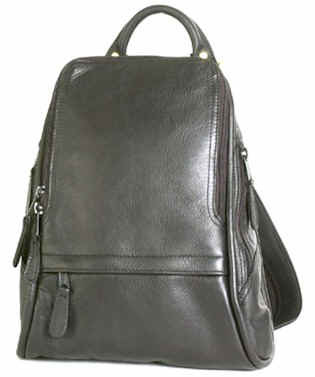 The shoulder straps are adjustable and padded for extra comfort. Available in black, cafe' and natural and two sizes.